Since using IRIS Connect for various assignments within their teacher training programme, the University of Twente in The Netherlands, has seen the number of student teachers willing to film their practice go from less than 50% to more than 90%. In the first three weeks of the University of Twente’s teacher training program, students prepare for becoming teachers by giving three mini lessons to their peers, which are filmed. They were using traditional video recording cameras to do this, but decided to look for a different solution when the cost was set to increase substantially due to a change of software and because the recording, uploading and storage was manual, and therefore time-consuming and insecure. 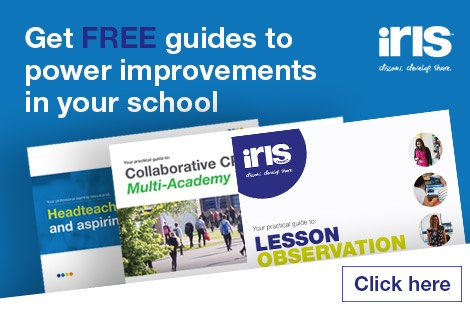 As well as using IRIS Connect to film the mini-lessons, student teachers are putting it to great use during their school-based internships. They record their lessons and analyse them with their peers, school-based mentors, and the university tutors. Along with filming their mentors at the schools for modeling purposes. “We also have assignments where our students have to film their coaches in their schools asking the children questions. They then have to analyse the video, so, for instance, ask, what type of question did they ask, closed or open? What waiting time does the teacher take? How does he/she address the question? This helps them to link the theory to what the coach does and then discuss it with their peers,” describes Jan.
“Lastly, they have to video a lesson that they gave in school and analyse their verbal and nonverbal behaviour. So they film the lesson, select small 1-2 minute fragments and analyse them according to theory. The students do this before a lecture and then in the lecture, they share it with a peer student, the peer student watches it with the sound turned off and bullet points what happens in terms of non-verbal behaviour and then they compare their analysis. Before the introduction of IRIS Connect, when traditional video technology was used, less than 50% of the student teachers were filming their classroom teaching for non-verbal and verbal analyses assignment and instead used their mini-lesson recordings. After the introduction of IRIS Connect, more than 90% of the student teachers used their classroom teaching recording for this assignment.